Lalla Khedidja, pure by nature! For centuries, Lalla Khedidja natural mineral water has been taking its source from the snowy mount of Djurdjura that reaches 2300 meters at its peak. Water percolates slowly through the rocks, which naturally loads it with minerals that are essential for life (Calcium 53, Potassium 0.54, Magnesium 7, Sodium 5.5, Sulfate 7, Bicarbonate 162, …), still keeping incomparably light. 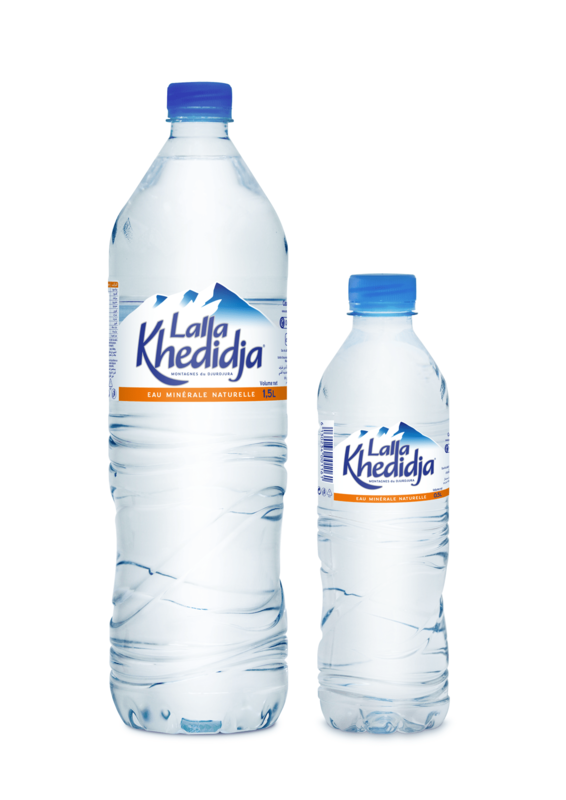 Lalla Khedidja natural mineral water is collected at the highest peaks of the Djurdjura, in the middle of the mountains. Protected from any contamination, the site that feeds the spring covers thousands of hectares of forests and maquis. This site has no large towns or villages, no heavy industry, no intensive farming. Lalla Khedidja has a light and soft taste, it is really thirst-quenching. It brings you a feeling of well-being by smoothly hydrating you. Pure, slightly mineralized, with a low content of Sodium and a neutral pH, Lalla Khedidja natural mineral water can be drunk at all times by everyone. It is particularly recommended in specific case, in particular, for urine output treatments meant to prevent the recurrence of kidney stones. Lalla Khedidja is also a natural mineral water perfectly adapted for pregnant women and infants. It dissolves milk powder appropriately and its low mineral content prevents kidney disorder. Extreme precautions are taken to preserve the purity and the original qualities of Lalla Khedidja natural mineral water. The Water is collected directly from the spring. It is then carried though special stainless steel pipes and bottled at AGOUNI GHEGHRANE (Tizi Ouzou) production plant..
Lalla Khedidja is available in PET packaging in two formats: Family 1.5L and Individual 0.5L.